resources for farmers, businesses and consumers. Dig in and feel free to contact us with any questions. 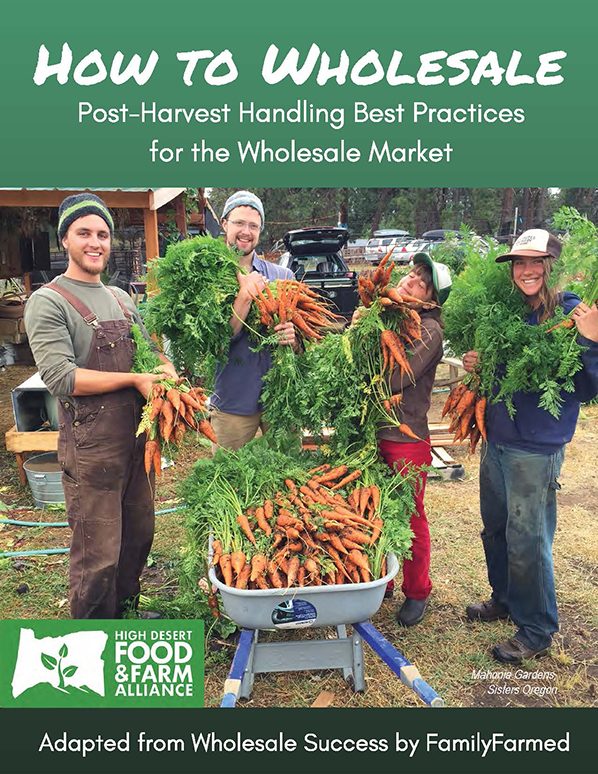 In partnership with Central Oregon Intergovernmental Council and Agricultural Connections and with funding from the USDA Specialty Crop Block Grant we created this post harvest handling wholesale guide for farmers and ranchers. 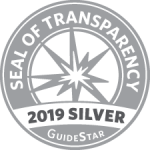 Many thanks to the Wholesale Success guide by FamilyFarmed for allowing us to use their resource. 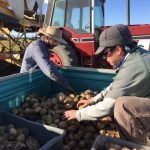 How to Wholesale, a guide to post-harvest handling focused on Central Oregon crops including: basil, beets, braising greens, cabbage, carrots, garlic, greens, leeks, onions, potatoes, tomatoes and winter squash. HDFFA Partners – Co-promote with us! 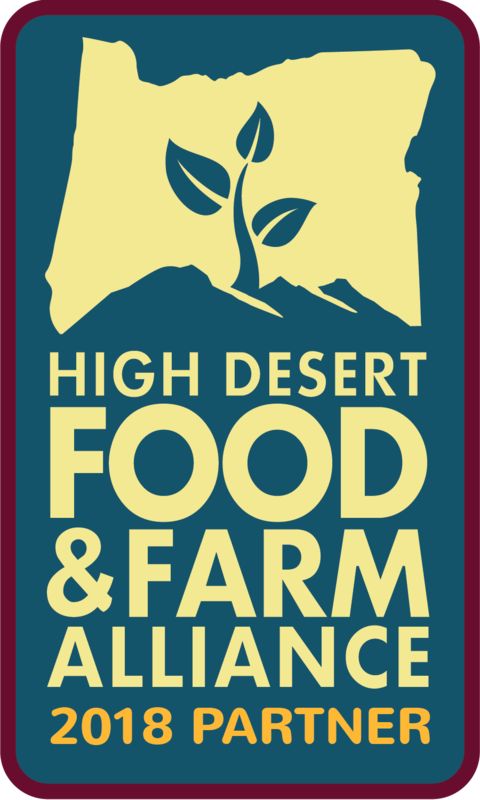 One of your many benefits is the exclusive use of each years’ HDFFA partner logo. 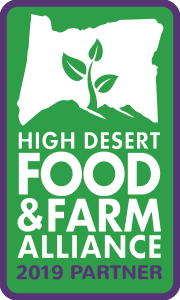 Please feel free to download the partner sticker to the left and place on your website, on your menu or in any fashion that will help us promote local food in the High Desert region! Just click and download the image. Please email info@hdffa.org if you need other file formats. HDFFA Promo Materials are for HDFFA Partners only – for more information on becoming a partner, click here. We provide promotional profiles free of charge as a resource for community members to better know local food producers and for farmers and food businesses to help tell their story. Click this link to view and download these profiles. 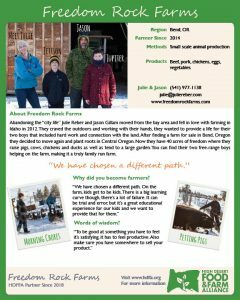 Interested in a having a farmer profile created for you? Email laurie@hdffa.org. It’s all about who you know. Over the past several years HDFFA has organized several workshops and networking sessions aimed at building relationships between farmers, troubleshooting barriers to getting local food to market, celebrating successes. Click here to see our video about the Mixer in partnership with our sponsor, Zolo Media. 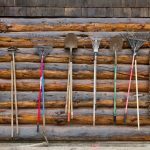 Local food connects communities with their farmers, ranchers and is a value that is important yet difficult to measure. 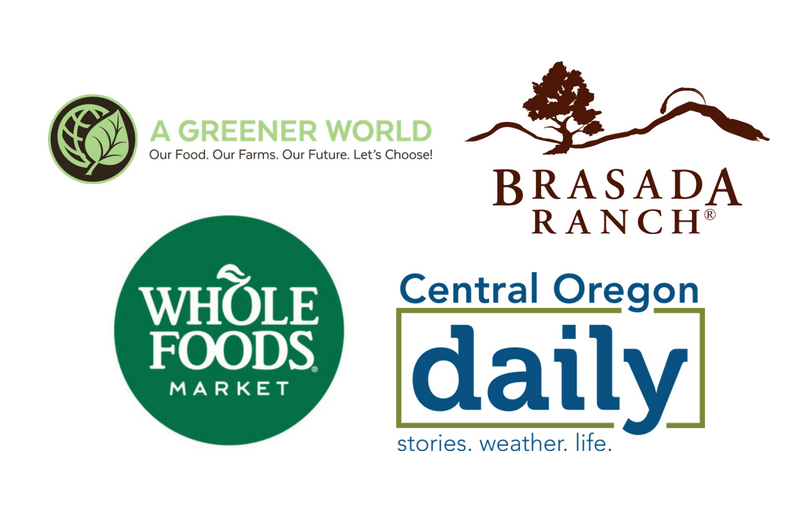 In 2017, HDFFFA partnered with Central Oregon Intergovernmental Council, and OSU Extension and the Center for Small Farms and Community Food Systems to measure the value of local food on our region. For every dollar spent on local food, $0.76 stays in Central Oregon compared to $0.28 when you buy imported food. If we had more season extenders, improved farm and ranch infrastructure, and increased productivity and efficiencies, we could produce $5.4M more in sales. Economic activity from every 5 on-farm jobs generated 2 additional off-farm jobs. If residents shifted 10% of our food purchases from commercial stores to local food from farmers, we would gain 13 jobs and invest $263,000 in wages for Central Oregonians. Overall, the report demonstrates that local food producers have an important role in our economy, and that with minor shifts in overall production there could be additional jobs and revenue throughout the region.